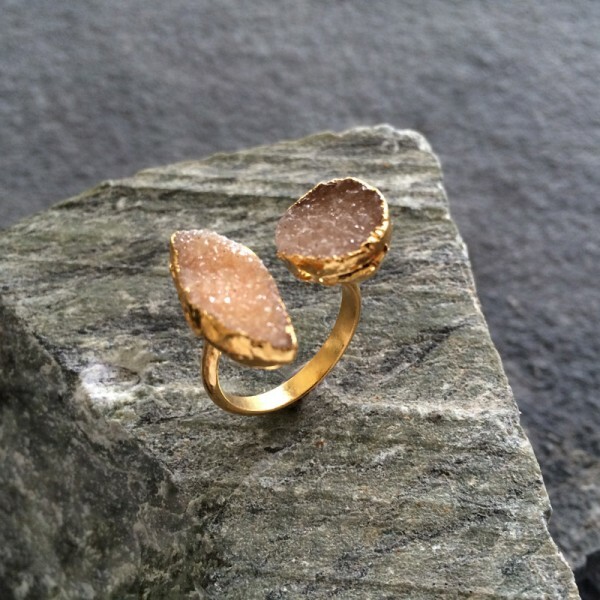 Mocha double druzy ring in Gold. 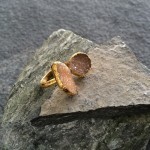 Size adjustable - US size 7-8.5. 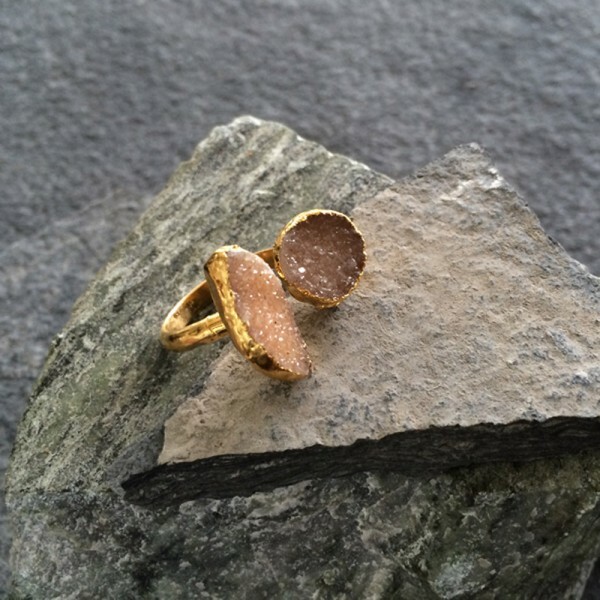 Stand out in our unique natural druzy double rings. 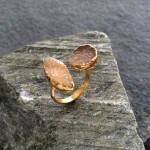 Stylish and comfortable , each ring is made by electroforming over brass and finished in a heavy layer of precious metals.